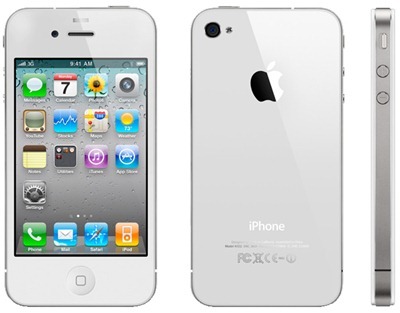 White iPhone 4 Issues Fixed By New Paint Process, Launch Imminent? We recently told you how Apple’s white iPhone 4 has started to show up in various carriers’ stock handling systems throughout the world, but with no official word from Apple it’s been unclear whether this is a sign of an impending release. With Apple delaying the white version until Spring 2011 due to ‘manufacturing problems’, the common theory was that the paint was causing concern in Cupertino. According to sources at the time the painting of the handset with a white color was proving more difficult than Apple had hoped with producing a uniform color being the main problem. Now though, it seems the issues may have been fixed by a small company in Japan. According to Macotakara, the unknown company has developed a new type of paint that can be applied in a more uniform way than before. This means more uniform colors, which in turn means a happy Apple quality controller. According to a source, specified printing white color for iPhone 4 brings poor yield and then huge number of defective products. This is the reason of disturbing to start manufacturing, a source said. To solve this problem, a Japanese company developed miracle painting material which is able to be set thickness of painting layer. Things are certainly looking up for those few still holding out in the hope a white iPhone 4 will become a reality, but with no official word from either Apple or their carrier partners it’s all very much rumor right now. Also, rumor has it that the elusive white iPhone 4 will be launching as soon as today, with part numbers being MC604X/A (16GB) and MC606X/A (32GB) for the White model. Personally I still can’t quite understand the wisdom in releasing a different colored handset just months before a hardware revision, but then I also thought Verizon would wait for the iPhone 5 too!